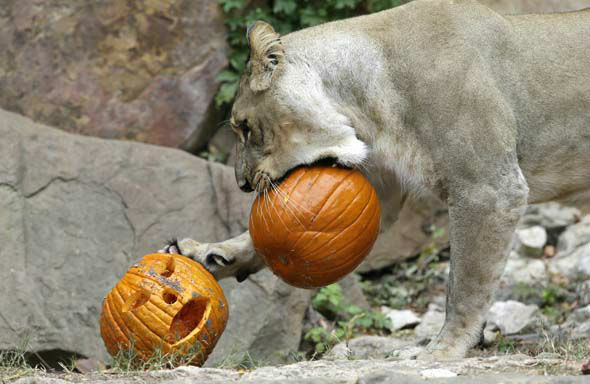 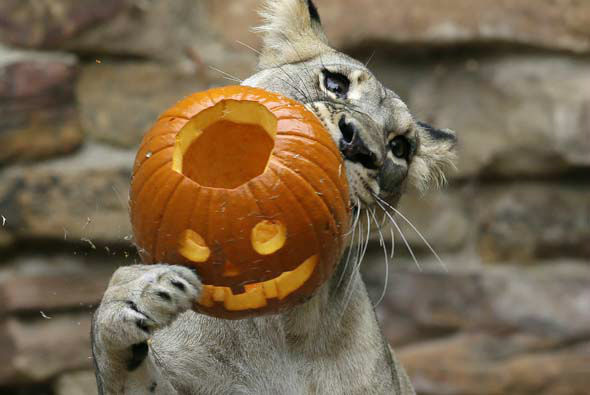 FORT WORTH, TX -- Some lions at the Fort Worth Zoo had an early Halloween treat by getting to play with carved pumpkins stuffed with meat. 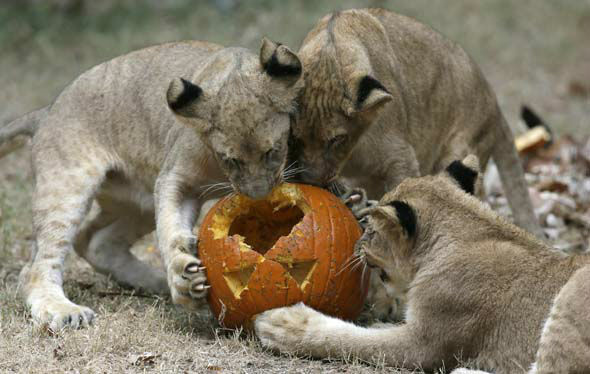 Three cubs joined two older African lions to frolic with the pumpkins on Thursday. 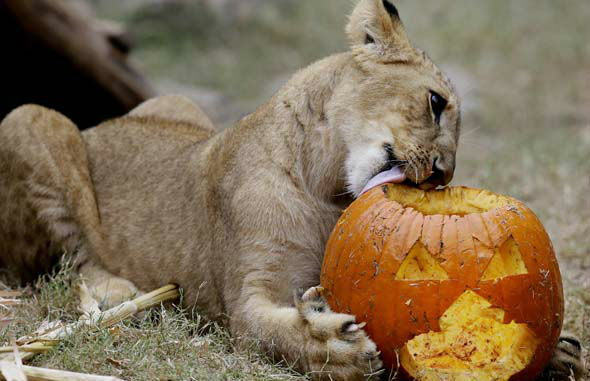 The 6-month-old cubs were part of a preview of the Fort Worth Zoo's 24th annual Halloween celebration, dubbed Boo at the Zoo. 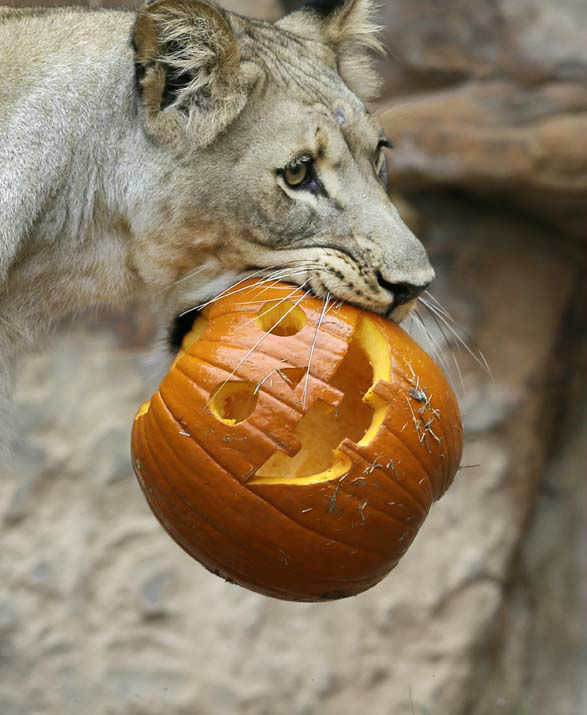 The lions sniffed, licked and batted the pumpkins before tearing the bright orange jack-o'-lanterns apart. 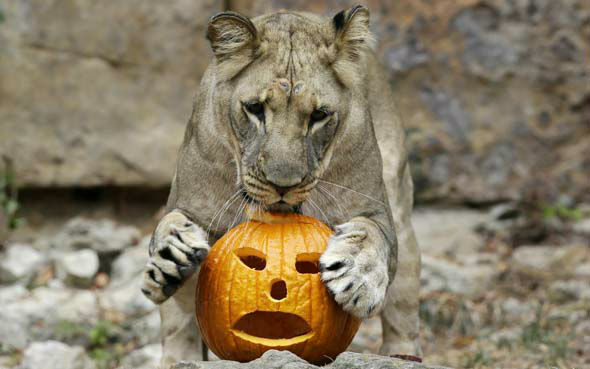 The Fort Worth Zoo event runs Friday through Sunday.